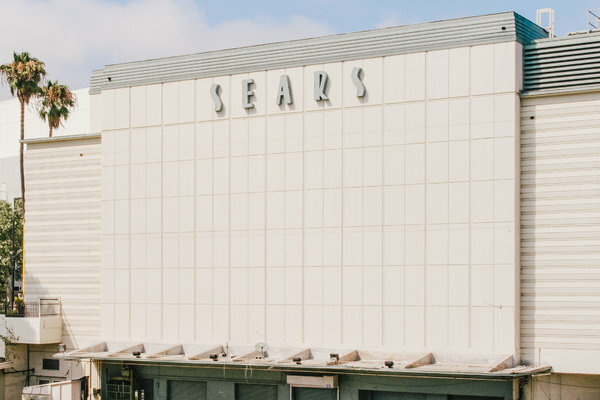 Once upon a time — because it feels as if it has been around forever — Sears was a central player in American life. These days, the company seems relevant largely as a retail cautionary tale. The chain, which filed for Chapter 11 bankruptcy early Monday, relies heavily on the sales of refrigerators, lawn mowers and other appliances to drive foot traffic. In cultural references, it’s often portrayed as a backwater or a wasteland. But there was a time when the retailer’s products, publications and people influenced commerce, culture and politics. Lauren Bacall modeled for the catalog, and Edgar Rice Burroughs, who later wrote the Tarzan adventure novels, was a copywriter. American spies used it as an icebreaker in foreign countries. The book of products even included houses, which formed the backbone of entire communities and are now tourist curiosities. Sears was also a prominent platform for executives with widely diverging political and social views. It had a hand in introducing Americans to artistic masters. And it began or elevated scores of popular brands, including Lands’ End, Allstate and Craftsman — many of which will probably long outlive their former parent. From 1908 until the 1940s, Sears sold materials and assembly instructions for tens of thousands of houses — meant for humans, not for dolls (though Sears sold plenty of those, too). Designers dreamed up 447 styles with names like Croydon and Alhambra, many featured in the Sears catalogs with illustrations of finished interiors. One design was modeled after Mount Vernon, George Washington’s plantation house in Virginia (but named the Jefferson). Customers could receive lumber, nails, varnish, carved staircase parts, plumbing components and more. The Sears catalog was “an almost obligatory thing to have with you” if you were an intelligence agent in Eastern Europe or the Soviet Union, said Jon A. Wiant, a longtime American intelligence officer. Agents gave the catalog to sources who wanted their tailors to replicate the American fashions in its pages, he said. The catalog also played a small role in the reconnaissance effort during the Vietnam War, when Mr. Wiant oversaw an information-gathering operation along the Laos border. The locals recruited by his team to report on Vietcong and North Vietnamese Army activities in 1966 largely relied on a barter economy rather than on currency, he said. Using a Sears catalog sent by his wife, Mr. Wiant suggested a makeshift pay scale that indexed products from the retailer to the length and danger of a mission. For a few months, until increased bombing and firefighting in the region made the effort too dangerous, the system was a success. Trades of red velvet blazer vests and a bra (used as nets to harvest heavy breadfruit from trees) resulted in useful intelligence. “I thought it was extraordinarily clever at the time,” Mr. Wiant told The New York Times of the arrangement, though he said he later realized the security implications of sources in potentially hostile areas donning American-made products. As the country agonized over whether to join the fighting in Europe during World War II, a group of law students at Yale — including Gerald Ford, a future president; Potter Stewart, a future Supreme Court justice; and R. Sargent Shriver, a future director of the Peace Corps — formed a group called America First. The United States should stay neutral, the association believed, and quickly grew to more than 800,000 members nationwide. Decades earlier, another Sears executive engaged in activism of a different sort. Julius Rosenwald began promoting civil rights causes while he was still president of Sears, before he became its chairman in 1924, leading some to call him the “first social justice philanthropist.” He helped fund fellowships for black artists and academics, including W.E.B. Du Bois and James Baldwin. He worked with Booker T. Washington to open more than 5,300 schools for black children in the Jim Crow South. Some of them were burned down by the Ku Klux Klan. The target Sears customer was the average American, not the uptown grande dame bedecked in pearls and furs. But when the company opened an art gallery in 1966 in one of Chicago’s most upscale retail districts, featuring works by Chagall, Picasso and Miró, both kinds of customer showed up. On the first day, 100 pieces sold, including a $30,000 Andrew Wyeth oil painting. The unlikely venture was an extension of a program started in 1962 and run by the actor Vincent Price, known for his roles in horror films. But Mr. Price was also a well-known art collector who counted his partnership with Sears among his proudest contributions to American culture. Sears sold more than 50,000 pieces of fine art by 1971, when it ended the program. Since then, other mass market retailers, like Costco, have explored similar offerings.